You can make lots of HP but if the clutch slips it does no good. We offer our own Pro-Grip Race clutches for street and race. 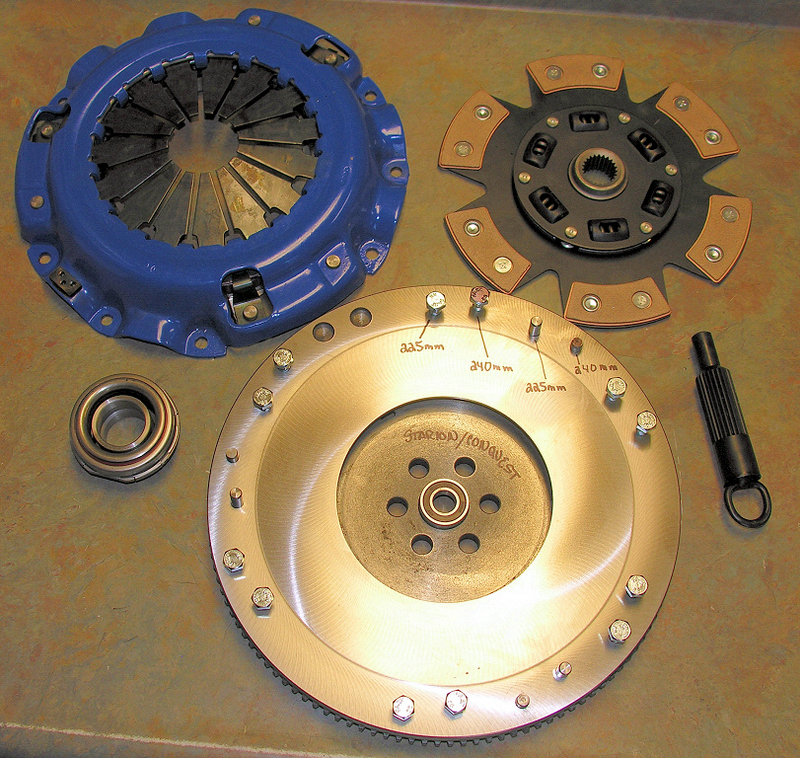 All clutches are sold as complete assemblies with Plate, Disc, Release brg, and Pilot brg. Discs are available individually. Available for both the early (225mm) and late (240mm) flywheels. We also sell standard replacement clutch kits for every day cars without unusual power demands. This is the best combination of weight and inertia. A super lightweight flywheel will rev up faster but it will not maintain boost between shifts and can cause surging at a steady light throttle. We lighten, surface, step and zero balance your stock flywheel. We can usually get 10-11 lbs. Off and still maintain plenty of strength.